Missouri Felony DWI Information - Defense Attorneys Norton Hare, L.L.C. Home » The Law Blog » When is DWI a Felony in Missouri? In Missouri, a driving while intoxicated (DWI) conviction can be classified as a felony if the individual is a repeat offender or causes serious injury or death to others. We have a list outlining the Missouri DWI penalties. A DWI felony conviction can result in prison time, substantial financial penalties, ineligibility for military service, ineligibility to vote in most states, ineligibility for participation in federal loan programs such as the FHA, loss of the constitutional right to possess firearms, and more. For these reasons, those facing felony charges have a strong interest in protecting their rights against a felony conviction. 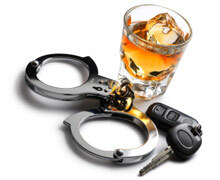 They can do so by enlisting the help of an experienced Missouri DWI attorney. According to Missouri Revised Statutes § 577.010.1, those suspected of DWI after their second conviction, known as “persistent offenders,” could face Class E Felony charges. Those determined to have acted with criminal negligence while causing physical injury to another person could face Class E Felony charges, as well. These charges carry an undefined financial penalty and a prison sentence of up to four years, per Missouri revised statutes § 558.011.1. A Class D Felony carries a sentence of up to seven years and fines up to $5,000. Those convicted of a Class C Felony face a prison sentence between three and ten years as well as up to $5,000 in fines. Class B Felony charges are pressed against “habitual offenders:” people who have been convicted of five or more separate intoxication-related traffic offenses. A Class B Felony is also charged against people who cause the death of a law enforcement officer or emergency personnel while DWI. Class B charges carry a 5- to 15-year sentence. Habitual offenders potentially face Class A Felony charges if they also cause the death of someone not in their vehicle, if they cause the death of two or more people, or if they had a BAC of 0.18 or higher while causing the death of any person. Class A Felonies carry a sentence of 10 to 30 years or life in prison. Felony charges related to DWI carry serious penalties and long-lasting consequences. Make sure you exercise your right to pursue reduced or dropped charges when you face a serious DWI felony by hiring an experienced Missouri DWI attorney today.